ESSA conducted a data needs assessment and developed a framework for identifying monitoring activities that can provide data useful for informing decisions within First Nation stewardship offices on the central and north coasts of British Columbia. A subset of monitoring activities was identified for the Regional Monitoring System (RMS) and monitoring cards were produced to aid in implementation of the activities. To address concerns about threats to North and Central Coast First Nations cultural and ecological values, as well as impacts from resource use, a Regional Monitoring System (RMS) was developed in 2009 by the Coastal First Nations – Great Bear Initiative. The aim of the RMS is to have individuals within First Nations communities collect data in a standardized format that can provide a scientifically valid baseline for planning, management, and decision-making processes. 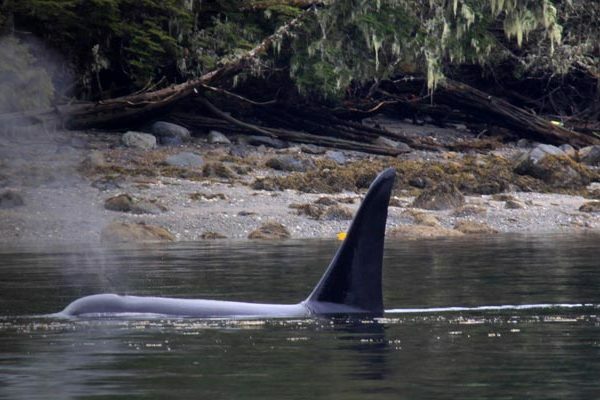 The data collection and management needs of Central and North Coast First Nations have increased in recent years as marine plans are implemented, increasing industrial activities are proposed, and stewardship offices grow. Though the RMS was deemed successful, an acknowledgement that it could be improved to meet more of the information needs of the member Nations spurred an evaluation in 2014. Recommendations that emerged from the evaluation included conducting a redevelopment of the RMS monitoring strategy to better connect the monitoring activities to the most pressing planning and decision-making processes. The redevelopment process began by engaging individuals within the First Nation stewardship offices to document existing and desired monitoring activities as well as planning and decision-making processes for which monitoring data are useful. Concurrently, a scoping framework was developed by which monitoring activities could be prioritized based on relevance for the RMS. Monitoring activities that emerged as high priority based on the scoping framework were discussed further in a facilitated workshop with the Stewardship Directors. Through these discussions, a subset of monitoring activities was identified for inclusion in the RMS. For each identified monitoring activity, a monitoring card was produced that details the question(s) that the monitoring is intended to answer, the decision-making and planning processes that the resulting data are intended to inform, methodologies that should be used to undertake the activity, and other relevant organizations. Redevelopment of the RMS resulted in the identification of a subset of monitoring activities that will provide data useful for informing decision-making and planning processes within the stewardship offices of member First Nations. The set of monitoring cards clearly display the link to decision-making and planning processes and they provide detailed information about how to undertake the monitoring activity. In addition, the scoping framework can be used in future assessments as new data needs and types of monitoring activities emerge.